From the Dublin Lockout to the Spanish Civil War, syndicalism has made its mark on history. Though presently a far weaker force than it was in the first half of the 20th century, it has done much to aid in the strengthening of the working class across the globe. Syndicalism of course is a broad church and as with most ideologies over a century in age has suffered its own divergences. The most prominent of these trends alive today are anarcho-syndicalism and its closely-related but distinct cousin, revolutionary-syndicalism. Whilst these two strands of syndicalism share much, there are important distinctions in ideas and practice that need to be drawn out so as to best learn from the histories of these two traditions. The history of these two strategies has always been intertwined, Syndicalism being very influenced by the politics of the anarchists who were some of its most prominent adherents in the early days. At around the turn of the 20th century a wave a syndicalist unions appeared, including the CGT in France, the ITGWU in Ireland and the IWW in the United States. 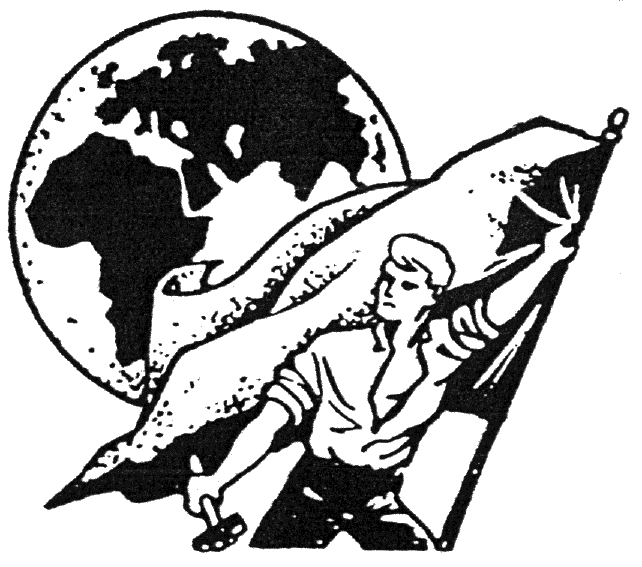 To compliment these unions, in several countries there were syndicalist advocacy groups working within the non-syndicalist unions, such as the ISEL in the UK or the SLNA in the US. This initial manifestation of syndicalism, though often dominated by anarchist militants, remained fairly apolitical, welcoming all workers to its ranks. Syndicalism was defined then as a militant approach to trade union action, frequently using strikes and sabotage to gain results. Syndicalism was distinct from other forms of socialism as it de-emphasised the “political” struggle through the ballot box and building political organisations, believing instead that workers own economic organisations, the unions, were what was necessary for social change. This de-politicised approach contrasts with the later anarcho-syndicalist organisations, grouped around the IWA, founded in 1922, which although many started life as more traditional revolutionary syndicalist unions, gradually moved more into the political sphere, labeling themselves explicitly as anarchist. Such anarcho-syndicalists were in favour of building anarchist unions from scratch if necessary, none of the initial IWA affiliates had a strategy analogous to that of the revolutionary syndicalist advocacy groups the ISEL or SLNA which worked within the non-syndicalist unions1. Anarcho-syndicalism today largely mirrors the strategies of 1922, of building anarchist unions outwith the existing labour movement, however it has been considerably less successful than it was in the 20s and 30s. Many affiliates of the IWA have grown dogmatic and puritanical, setting up their tents in the left-communist camp and dismissing all unions outside of the IWA as hopelessly reformist. It would be unfair however to assume that these IWA supporters speak for all anarcho-syndicalists, there are still many with a more open approach to questions of strategy. From this brief historical comparison we can surmise the main points of difference between the anarcho-syndicalists and the revolutionary syndicalists, specifically that the former present themselves and their unions as political organisations, nailing the red and black flag of anarchism to the mast, whilst the latter are less keen to throw their lot in with any one brand of socialism. Additionally, whilst anarcho-syndicalists have always favoured a “from scratch” approach the revolutionary syndicalists have been more flexible, sometimes choosing to organise within non-syndicalist unions. The differences defined, which of these two approaches can be most useful to us today? If we are to be successful in bringing about a revolution, we clearly need the vast majority of the working class to back such an idea. To this end if seems obvious that we should stick our colours to the mast and advocate anarchist unions, after all if we believe in our theories we shouldn’t be afraid of arguing for them within organisations we create. In the modern era this approach has seen limited results however, and we may require a more subtle answer than simply planting our flag and propagandising for our ideas. It is important to note, in attempting to discern how we might win the masses to our politics, that collective self-interest is a powerful motivating factor. This is why trade unions work, workers recognise that it is in their collective self-interest to join up and fight for a better deal for themselves. The process of moving people towards our ideas, of building class consciousness, has to be one of ensuring that an anarchistic revolution is clearly in the self interest of the great majority of workers. To achieve this, rather than arguing for abstract notions of what society could be like one day, we need to build the confidence and organisation of the working class, so that it is both confident enough and capable of taking power from the state. This can be done through winning victories, demonstrating for all to see the power of collective organisation. In order to win effectively we need as many workers as possible to be with us, this means socialists, social-democrats and even ideologically capitalist workers need to be included. Flying the anarchist flag above our unions can only serve to exclude those who’s consciousness has not yet been elevated, dividing the working class into boxes based on politics rather than pulling us all together on the basis of collective self-interest. The issue of whether we should seek to reform and build within existing, non-syndicalist labour movements is entirely related to the question of the role of politics with the unions. Starting from scratch, or from the plethora of small historical syndicalist unions dotted around the globe, has been the perspective that not only dominates anarcho-syndicalist thinking but also much revolutionary syndicalist thinking. The reasons for this are evident, the “mainstream” unions in most countries and undemocratic and passive, and we’ve seen the many failures and sell outs of those who have attempted to change them. So why did the syndicalists of old advocate working within the unions? Again, the question comes down to one of trade union unity. Whilst the density of the established unions is often low and in decline, these unions still represent millions of workers, and have vast resources that far outstrip anything that the syndicalist movement presently possesses. In many countries these unions are the only remaining bastion of working class strength. However flawed they may be, they are the only thing slowing the descent into the race to the bottom on wages and conditions. By attempting to build unions outwith the existing labour movement we risk undermining the only remaining bastion of working class strength, through poaching members. Further, competition between trade unions usually means that ultimately, we all lose. As imperfect as the existing labour movement is, it can be changed2, and by opting to instead build our own from scratch we serve to alienate ourselves from the millions of workers already unionised and the thousands of militants amongst their ranks. That is not to say there will never be a point in building our own unions, rather, we must bear in mind the costs of doing so and adopt a tactically flexible approach. Sometimes it will be the right thing to do and sometimes it wont. The revolutionary syndicalists knew this which is why, unlike the anarcho-syndicalists, groups favouring both approaches were welcomed amongst their ranks. 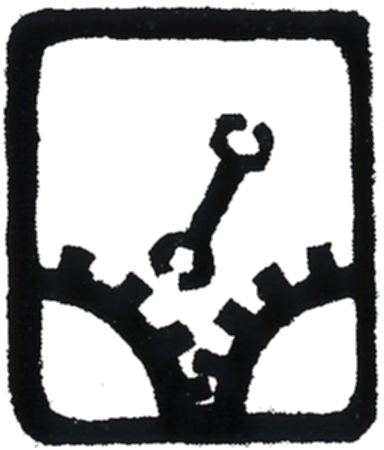 In summary, anarcho-syndicalism’s proud tradition has a lot to teach us, however, its emphasis on politics can prove devastatingly divisive, whilst the less political revolutionary syndicalism’s tactical flexibility around the existing labour movement renders it more appropriate for our present circumstances. Clearly however both movements will continue, and whilst one syndicalism may seem more strategically valid than the other, both have great contributions to make to the international labour movement and the empowerment of our class. I wrote this article to kick of a debate on anarcho-syndicalism between myself and a member of the Worker’s Solidarity Alliance in the USA. I will stick up a link to his reply once he has penned it. With the sole exception of the Comité de Defense Syndicaliste in France, who’s tactics were swiftly condemned by the IWA shortly after its founding conference. There are plenty of historical examples of this, for example the reforms of the UK labour movement won by the amalgamation committees during the 1910s. This entry was posted in Uncategorized and tagged Anarchism, history, Syndicalism. Bookmark the permalink. Yes, I owe Snowball a reply to his interesting article. My creeking writing wheels will get creeking a bit faster later this month. Syndicalist still says…. I owe you a reply and will do it before the next century. I’m just slower then a turtle in reverse on hot dry land.